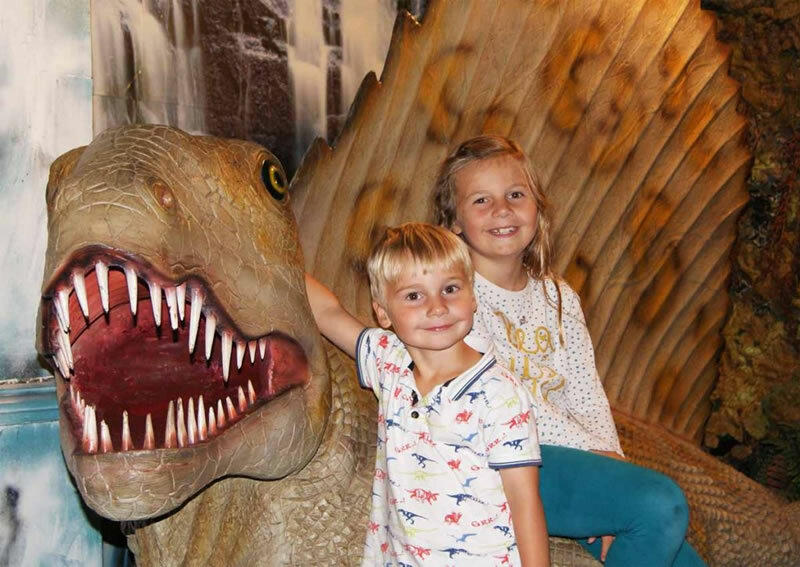 Torquay’s Dinosaur World during your visit! 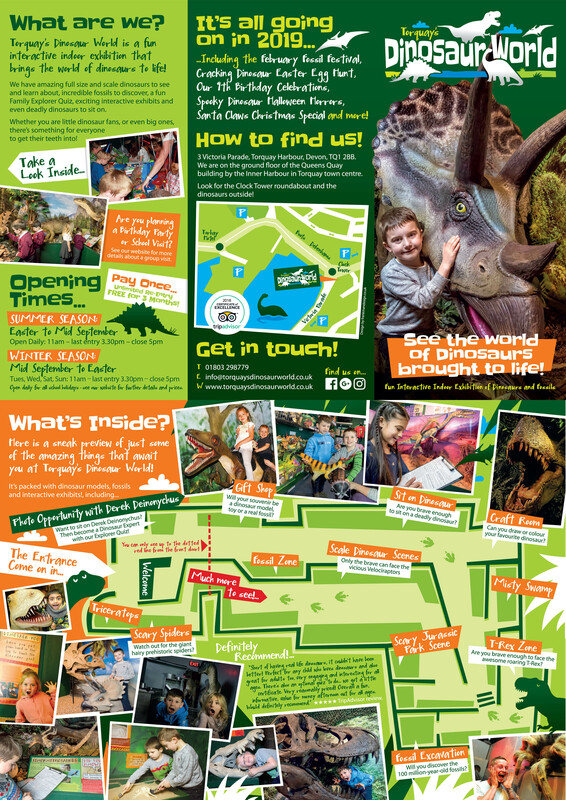 Click on the image on the right to download our current leaflet and exhibition map. 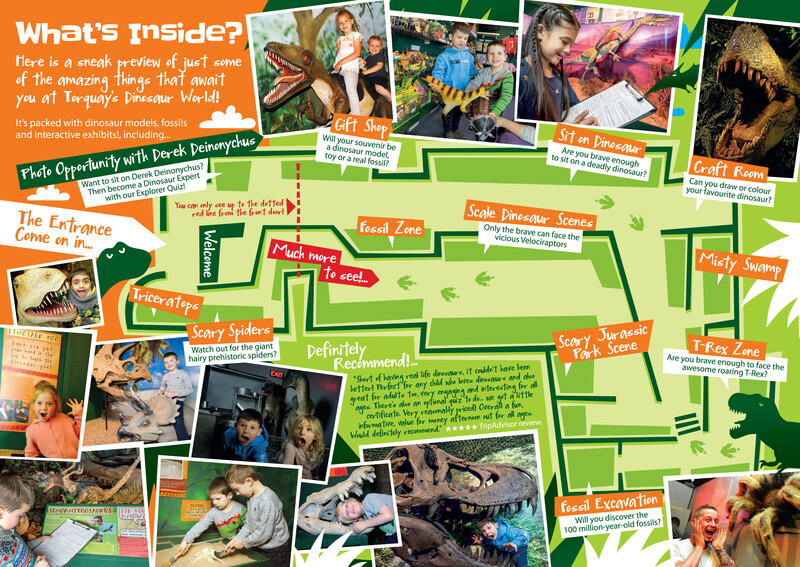 Use it as a guide during your visit and keep it as a souvenir. 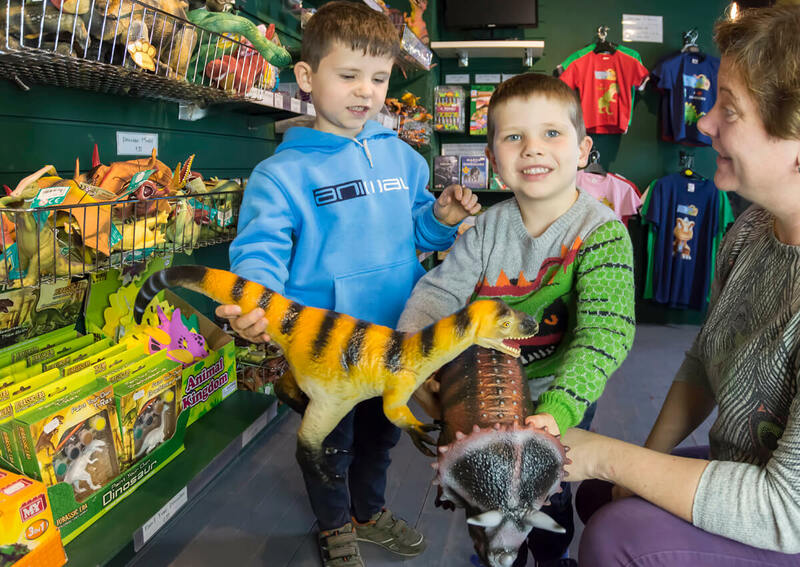 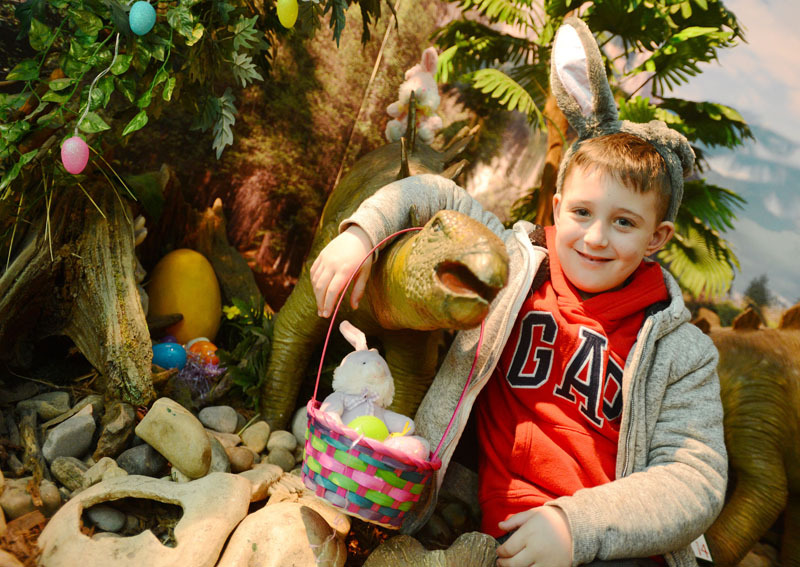 See the world of dinosaur brought to life at Torquay’s Dinosaur World!